On Blindspot Season 3 Episode 3 we learn just want Patterson and Rich Dotcom have been up to... and it's not what we thought. Read on for more! On Blindspot Season 3 Episode 2 the team adjusts to their new roles and work to take down a foreign attack on the US. Read to find out more! On Blindspot Season 3 Episode 1 the gang is back together with a new mystery to solve. Who can you trust when everyone is keeping secrets? Find out! On Blindspot Season 2 Episode 15, Weller breaks up the band to handle three tattoo clues and it goes worse than the Beatles after Yoko Ono. On Blindspot Season 2 Episode 14, Rich Dotcom returns when his college secret society holds the next tattoo clue, and Weller somehow doesn't kill Rich. On Blindspot Season 2 Episode 13, we learn that Shepherd shares a name with a talk show host, Reade makes his worst choice yet and we get fooled again. 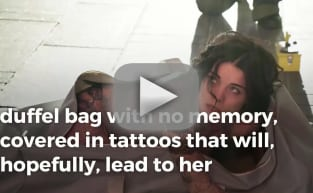 On Blindspot Season 2 Episode 12, the team wonders if they can trust Roman when a tattoo leads him back to a dangerous biker gang and a lost love. On Blindspot Season 2 Episode 11, everyone's least favorite good guy returns, basketballs get ruined, and we get a Chicago PD connection. Read on!